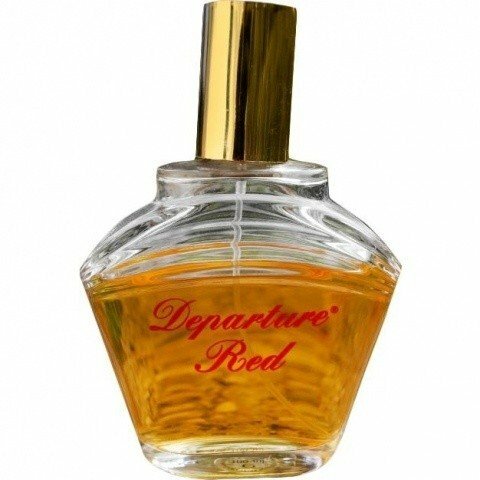 Departure Red is a perfume by Cosmetica Fanatica for women. The release year is unknown. The production was apparently discontinued. Departure Red I've felt for ages. I think it must have been ten years ago since I bought my bottle in a shop run by an Indian guru, where you can find cheap things like incense sticks, kitchen utensils, cuddly toys and even perfume. As I was looking for a fresh rose scent at that time, I bought it blind. It was not expensive, but not as cheap as the scents at Kik. It was then also not quite what I had expected, namely a fresh rose fragrance. Nevertheless I wore it often and gladly and the more fragrances I had, the rarer I wore it. But I kept the bottle, it still contains two thirds of its contents. In time, I pulled him out and I still like him. Since I joined Parfumo I've of course got to know a lot of fragrances and my collection has grown a lot. Of course, my nose has also matured in the five years Parfumozeit. When I wear it now, this "I know...smells like..." feeling always comes over me, but it wasn't so easy to figure out which scent it actually resembles. But there was always this strangely familiar feeling. Cosmetica Fanatica is a cheap brand in the lower price segment, quite possible that they make dupes (I only have this one fragrance of this brand). Departure Red is based on classic flowery scents. Scent pyramid is not known to me, but I try to describe what I smell out there. LÀir du Temps is sweeter, while Nahema EdP is sweeter than Departure Red. Jardins de Bagatelle is even sweeter. It shows the most similarity almost with L`Heure bleu - which I still find sweeter than Departure Red. So I would call it a hybrid between L`Heure bleu and LÀir du Temps. For such a cheap fragrance I find it really well done. Of course, it is not quite as noble as the beautiful vintage Guerlain fragrances, but still a good fragrance. It also lasts around four hours, which is very good for this price segment. A noble powder monster for everyday use. I will continue to wear it. Unfortunately it was stopped in the meantime, but I still got supplies in the bay. Write the first Review for Departure Red!